west coast. Conveniently located 2 miles from downtown San Diego, just across from the airport, we have departures 3 times daily. Treat yourself to the best views the city of Portland has to offer. You can relax and unwind aboard our vessel the Eleanor Hawkes as we slip through the tranquil waters. Feel free to bring your favorite beverage and snacks as you enjoy the sights and sounds of our lovely Casco Bay and the Portland skyline. 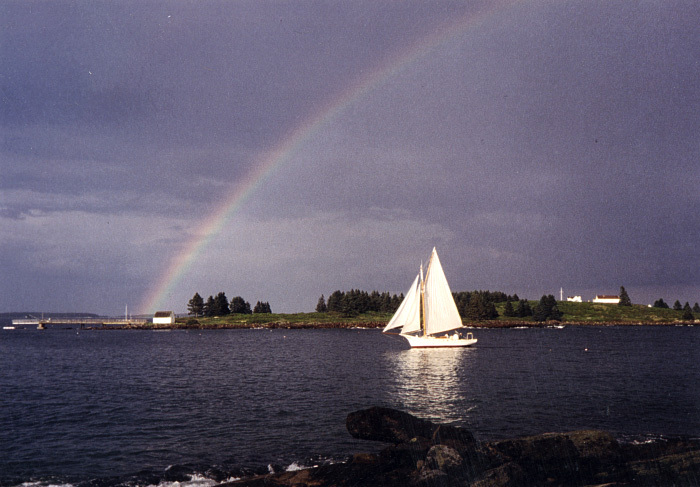 Downeast Friendship Sloop Charters invites you aboard the oldest Friendship Sloop still sailing. Built in 1899, she was a working sloop for many years before becoming a private yacht and sailing under the inauspicious name “Depression”. She carries her original name again and even hauls a few lobster traps under sail. Enjoy some incredible sailing, take the wheel and relax on the water. Day sails, private charters, and lobsterbake cruises are available, with soft drinks and an appetizer, free parking and dockside convenience. arts and sciences, explore blue horizons, and make history come alive. Located at the Harborside Hotel, 55 West Street , Bar Harbor , Maine . Available by the hour, day, or week. 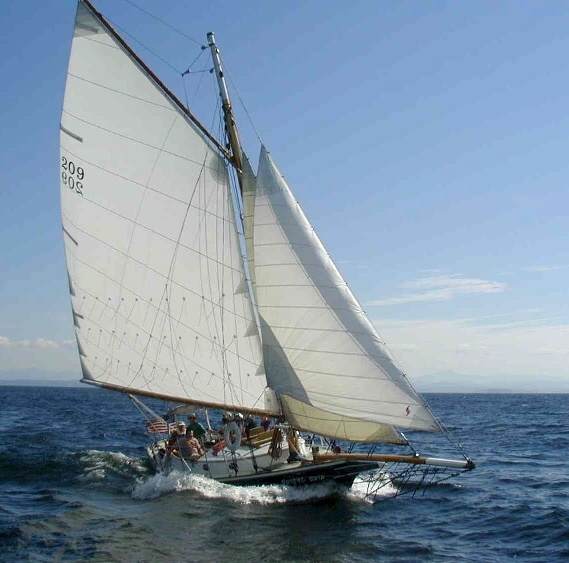 Persistence is a 28' sloop built in the museum shop by a dedicated team of volunteers and launched in 2014.
can drop you off at the Rockland Breakwater Lighthouse for a tour, or see Owls Head Lighthouse from below. Kirk Rouge is the captain. Mouse Island, Ram Island Light on this 1-1/2 hour trip. Enjoy the fresh sea breeze as it determines your course. Your experience will be unforgettable as you indulge your senses in quiet enjoyment of the ocean’s beauty and the wind’s power. An occasional Northwest gust adds excitement; and occasional becalming occurs when the winds shift direction. Your Captain will provide you with interesting bits of information as you pass by coves, other watercraft, and lighthouses. as once being the “work” boat of Maine lobstermen. Now, the boats are primarily used for pleasure. by its large gaff rig mainsail and long bowsprit. Jim & Sue Genthner have been chartering the Endeavor in Nantucket for over 22 years. 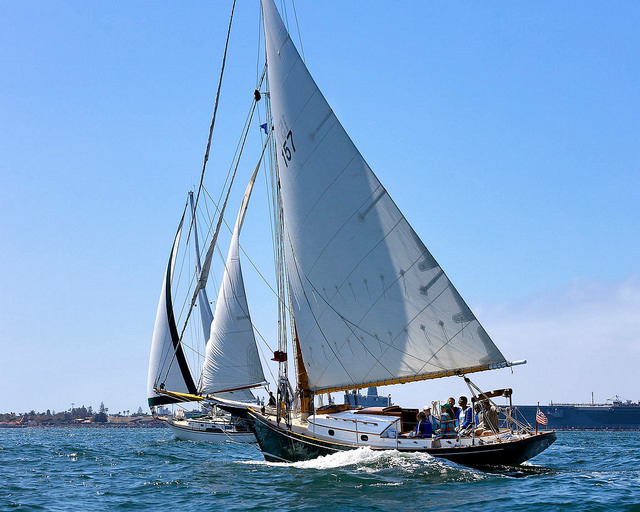 Wenonah is available for day sails and sunset sails May-October in Salem, MA. Burlington, Vermont from mid-May through mid-October.